The streets of this once bustling logging town haven't changed much since the 1850s. Today this very popular tourist destination is filled with unique textile, antique and gift shops, mouth-watering restaurants and a historic theater. Many of the businesses are located in original New England-style homes that have been restored and preserved, along with the town's general store and stately church, shown above. While you're in town, visit the hilltop cemetery and look for the grave of the first U.S. sailor killed in battle in the Northwest. 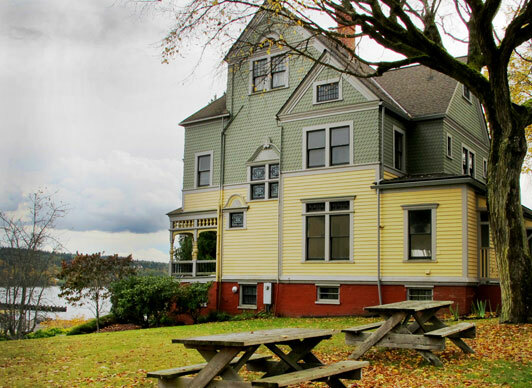 Port Gamble also is famous for its paranormal activity and hosts an annual Ghost Conference in October. Read our blog for more info, then plan your trip. 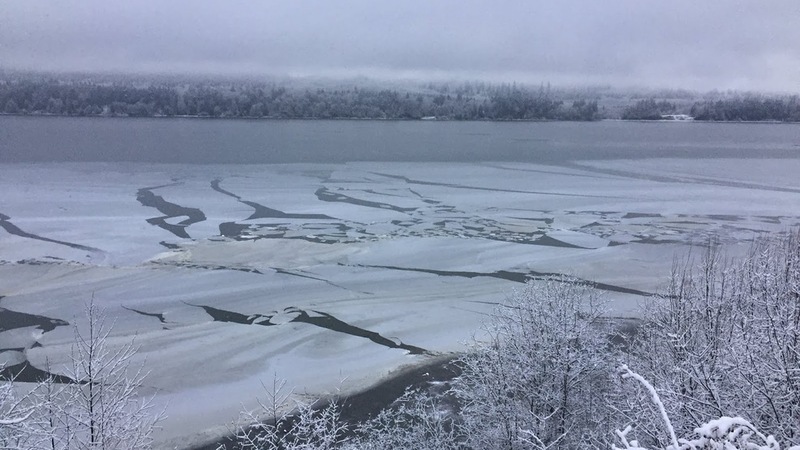 Read the Komo News article Gamble Bay partially freezes over during the winter cold snap. Port Gamble is a National Historic site and, before its closing in 1995, the Port Gamble Mill was the oldest continuously operating sawmill in North America. Take time during your visit to stop by the museum and learn about the history behind this quaint, waterside gem. Click here for more information about Port Gamble's colorful history. 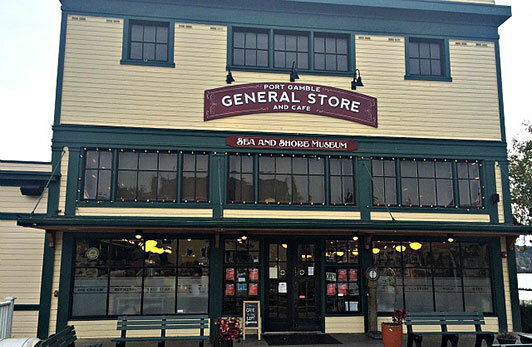 The centerpiece of this north Kitsap Peninsula town is the Port Gamble General Store. Housed in the same historic location as it was when the mill was active, the store is a delightful spot for food and fun. 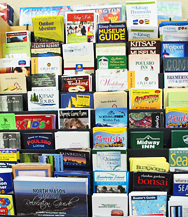 Unique gifts and clever cards await you in this "must stop" destination. 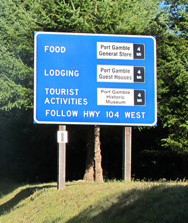 Port Gamble is a great place to start or stop an outdoor recreation adventure on the Kitsap Peninsula. Olympic Outdoor Center offers kayak and bike rental, and there is a boat launch at the old mill site. Port Gamble Theater originally established in 1906 is a delightful community theater located downtown across from the Port Gamble General Store. It provides a small intimate space yet is large enough to host a variety of performances including theatrical productions, musicals as well as children's shows. Check out their website for upcoming performances.